The Ghana Rubber Estates Limited [GREL], has rejected claims that it has forcibly taken over some cocoa farms in the Eastern and Western Regions. According to the company, the reports are totally false. GREL in a statement also dispelled reports that it has destroyed some cocoa farms in those regions to make way for rubber plantations. “Our attention has been drawn to various articles and documentaries about the alleged destruction of cocoa farms by Ghana Rubber Estates Limited (GREL) to develop rubber plantations in the Eastern and Western Regions of the Republic of Ghana. Management is minded to respond to these articles and documentaries largely due to the palpable falsehoods, blatant lies and factual inaccuracies contained in these publications with the sole aim of bringing the name of Ghana Rubber Estates Limited into disrepute,” a statement from the company said. GREL has been lambasted by some sector institutions including COCOBOD for allegedly destroying cocoa plantations in the country. 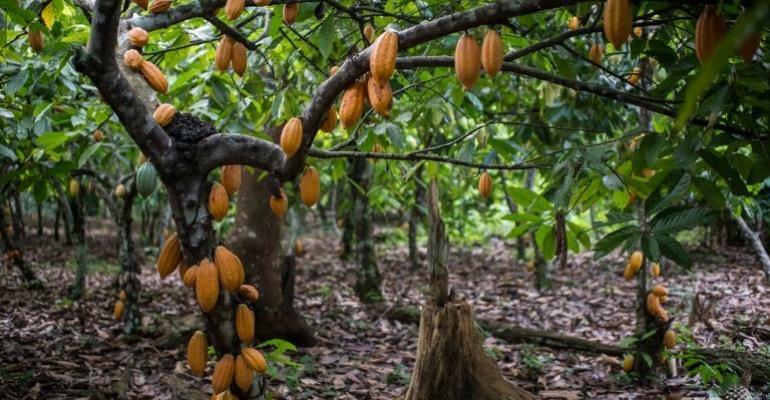 Some cocoa farmers in the Eastern Region have also threatened to embark on a demonstration to register their displeasure over the alleged destruction of a number of cocoa farms to pave way for the cultivation of rubber. But GREL in the statement debunked the claims and said it has duly paid and compensated land owners who leased their lands to them for the rubber project. Our attention has been drawn to various articles and documentaries about the alleged destruction of cocoa farms by Ghana Rubber Estates Limited (GREL) to develop rubber plantations in the Eastern and Western Regions of the Republic of Ghana. Management is minded to respond to these articles and documentaries largely due to the palpable falsehoods, blatant lies and factual inaccuracies contained in these publications with the sole aim of bringing the name of Ghana Rubber Estates Limited into disrepute. Western Region = 19,849ha (State Land- 16,017ha & Stool/Family Land – 4,123ha). GREL has also helped/assisted 9,500 individuals to develop 42,600ha of rubber outgrower farms in Western, Central, Ashanti and Eastern Regions of the Republic Of Ghana with the Eastern Region having only developed 50ha out of the 42,600ha. The company currently operates a 10-ton per hour rubber processing factory located at Apimenim in the Ahanta West District of the Western Region. In 2012, Management of GREL received an invitation from the Akyem Abuakwa Traditional Council (AATC) to develop Rubber and Oil Palm Plantations in the Traditional area with the aim of boosting the local economy and creating jobs. After two years of deliberations and stakeholder engagements with the various divisions under AATC an MOU was signed between GREL and AATC on 3rd July, 2014 granting GREL the permission to lease lands under the Traditional Area for rubber plantations. GREL then proceeded to sign an MOU with Asamankese Stool on 15th August, 2014 for the lease of lands in Asikasu, Mepom, Fantwuma and Okurase all under the Asamankese Stool. GREL continued to engage the tenant farmers in Asikasu, Breman and Okurase who would be affected by the project and the traditional authorities in these areas until an agreement was reached with all parties for enumeration of crops to be affected and payment of compensations. On 22nd June, 2015 an agreement was signed between GREL and Asamankese Stool for the lease of 600ha (1500Acres) and 200ha (500acres) of land respectively at Asikasu and Okurase all under the Asamankese Stool of Akyem Abuakwa Traditional Council. A lease agreement was subsequently signed leasing the lands to GREL for a 50-year period. GREL started payment of compensation to all farmers within the project area in 2015 and out of the 1500acres of Land leased to the company at Asikasu only 373acres of cocoa was cultivated on the land as against the 2000 acres being claimed by some group of people. For the 500 acres of land leased at Okurase not even a single acre of cocoa was found to have been cultivated on the land. Again, we would like to state emphatically that at no point in time has the company forcibly ejected the tenant farmers from the field. At no point in time did GREL engage Police to intimidate the famers into accepting the cheques for compensation. For the Asikasu Land about 95% of the tenant farmers have received their compensation but the remaining 5% are refusing to accept the compensation claiming personal ownership of the land. We have been trying to engage them since 2015 and till date they have not provided any proof of ownership of the land. These are the group of farmers creating a lot of disturbance for the company and have refused to come to the table to discuss the issue at hand but rather moving from one media house to another spreading totally false and malicious information about the company. It has gotten to a point that the company will have to move on with its operations and cannot wait any longer since these people are not ready co-operate. For the Okurase Land, GREL has only been able to develop 50ha out of the 200ha of land leased from the Traditional Authorities in 2015. We are still engaging the tenant farmers so that an amicable solution can be found to the impasse to allow the company develop the rest of the land. In 2011 GREL leased 2,430(6004.18 Acres) of land from Apinto Stool under the Wassa Fiase Traditional Council. This acquisition was preceded by various stakeholder engagements which involved tenant farmers within the project area and the traditional authorities. Compensations to all tenant farmers within the project area were paid in 2011. GREL commenced development of the area from 2012 to 2016. During this period GREL allowed all recipients of compensation to continue to maintain their farms until it was time for rubber development. Some of them were on the land for 4 years after having been duly compensated. Out of the 6000 Acres leased by GREL and duly paid for, management conserved about 20% of the land surface of which about 500Acres is being used as a forest reserve. Environmental Students from the tertiary institutions have been using it (the forest reserve) as a research site and the cost of research is paid by GREL. The cost of conserving this area is the responsibility of GREL. Based on the good and transparent nature of GREL's operations, the Apinto Stool in 2012 proposed another 1,566ha (3,870.39 Acres) to GREL for lease. GREL started engaging all the affected farmers from 2012 until April, 2013 when an agreement was reached for the lease of the land. GREL mapped out an area of 600Acres out of the 3,870acres it leased from Apinto Stool and asked the farmers in these area to keep their farms because of the huge cocoa farms within that area which was estimated to be 400acres. The farmers in these areas have been agitating for the company to come and pay their compensation but the company has refused to do so with the explanation that they need to keep on cultivating their farms. In addition to the 600acres reserved, GREL decided to conserve another 247Acres which it had duly compensated the farmers in these areas in line with its Environmental Charter. Payment of compensation to all affected tenant farmers outside the 600acre area reserved was done in 2013. GREL allowed the affected farmers who were compensated in 2013 to continue to keep their farms until it started developing the area from 2017. About 10% of the farmers who refused to take their cheque in 2013 finally collected their cheques in 2017. Before payment was done, GREL met the farmers' representative and the traditional authorities and a 10% upward adjustment was done before payment. At no point in time have we forcibly moved farmers from the land or harassed them. GREL has duly paid all compensations to affected farmers and most of them were asked to move after 2 to 4 years after payment of compensation. As a responsible corporate entity, GREL does not renege on the payments of its statutory obligations such as taxes and dividends to the Government of Ghana(which owns 25% shares in GREL), its Ministries, Departments and Agencies as well as undertaking various Corporate Social Responsibility Projects within its operational areas. On scholarships offered by GREL to brilliant but needy students in our operational areas, GREL offers thirty three (33) fully paid scholarships to brilliant but needy students every year throughout their senior high school education since 2005. The Corporate Social Responsibility projects across the ten (10) traditional areas that GREL operates, in the Seven (7) Municipal and District Assemblies are there for any well-meaning journalist to see. These projects range from Schools, Community Water projects, Clinics, KVIPS, Community Centres, Libraries etc. GREL has spent over 2.5 million euros from 2006 to date on these Corporate Social Responsibility projects and initiatives which are dotted across the length and breadth of our operational areas. As a sign of GREL'S commitment to the communities and the Association of Chiefs on Whose Lands GREL Operates (ACLANGO), the Company, in 2006, constructed and donated an ultra-modern office building to the Association at Agona Nkwanta, Western Region. In addition, the Company also pays fully the salaries of the administrative staff, the utility bills and all other administrative expenditure needed for the smooth running of the office every month. Additionally, the Company contributes significant amount in cash to Nananom towards the yearly celebration of the communities' annual festivals. As a responsible Company which is committed to food security, GREL has in collaboration with Crop Research Institute, trained our outgrower farmers on how to grow and maintain food crops on their rubber farms. This proud initiative of ours has received tonnes of commendations from the Ministry of Food and Agriculture and other international organisations. Some of our outgrower farmers have also received accolades and awards at the district levels in past celebrations of Farmers' Day ceremonies. We hope this would correct the misinformation that has been churned out by certain media organisations and individuals. The post We've not forcibly taken over cocoa farms – GREL appeared first on Ghana News .